Your sign is likely the first thing people see when they visit your place of business; first impressions are important. If your sign is in a bad state of repair, looks tired and past its best then what does that tell customers about your business? Even a great sign can get to a point where it’s harming your corporate identity if not properly cared for. Additionally, your sign can get damaged by inclement weather or accidents and you may need to get it repaired properly and quickly. Here at Southern Star Signs & Graphics we have members on staff who are specialists in sign repair and maintenance. Call us to see how we can help you keep your sign in great condition. Of course, the best way to keep your sign in a condition you can be proud of is by regular maintenance. However, you may already be in a position where a repair is required and we can certainly help you with that. Because we create such a diverse range of signs, we are skilled at working with many different materials. 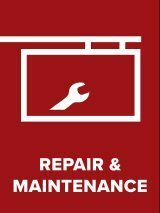 This expertise positions us perfectly to help with your repairs; whether your sign is wood, glass, metal, PVC or anything else, we will be able to help you get it fixed in a timely manner. We’ve made an extensive collection of signs with lighting effects so are able to repair all LED and neon-lit signs. Our sign repair service is quick and reliable; if you’ve had unexpected damage to your sign, contact us today to see how quickly we can get your sign back in shape again. They say prevention is better than cure and this is definitely true when it comes to keeping your sign in top condition. If possible, you don’t want to wait until your sign reaches a point that you have to get it repaired; you want your sign to show your business in a positive light, every day. Southern Star Signs & Graphics has a team of sign maintenance experts who know how to keep your sign in optimal condition. Your maintenance schedule and requirements will depend on your sign type and position and we will work with you to ensure you get the coverage you need. Effective sign maintenance can also save your business money; if small problems are sorted out quickly and the sign is kept in good condition, it can prevent larger, more costly repairs further down the line. Making sure your sign is properly looked after is something you need to think about, it need not take up a large amount of your time. Let the team at Southern Star Signs & Graphics take care of your sign maintenance and ensure it stays a great beacon for your business. If your sign already has a specific issue, such as a missing light or other damage, then our team of sign repair experts can come to your aid. Call today and let us help you get your sign looking fantastic again.